Office accessories made of wood are en vogue. 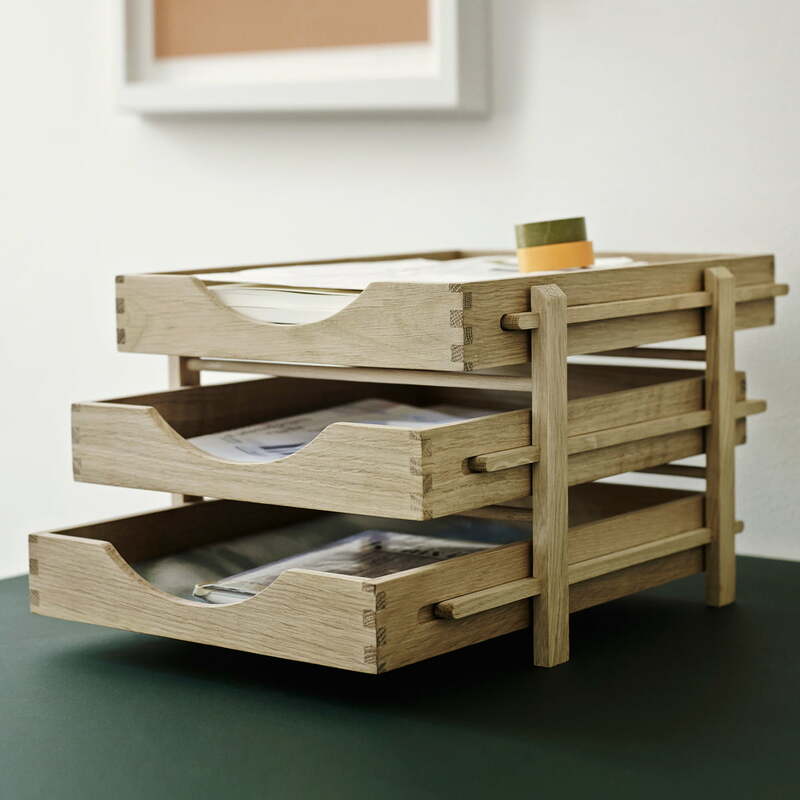 Skagerak presents a tray out of that natural material with the Dania Letter Tray, made with uncompromising Skagerak quality. We like classic materials and solutions in a world of continuous technical development. So where could wooden products fit better than in offices? Wood looks warm and friendly and it is as practical as other paper trays made of plastic or metal. Documents and letters with DIN A4-formats perfectly fit in the single trays. 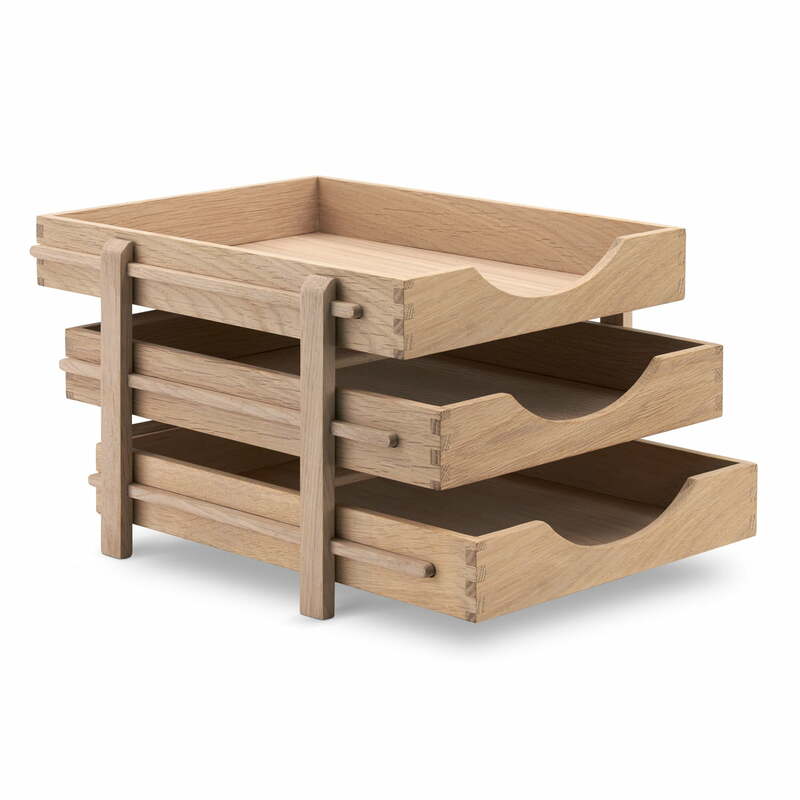 The tray of the Dania collection is made by Skagerak out of FSC-certified, massive oak wood. 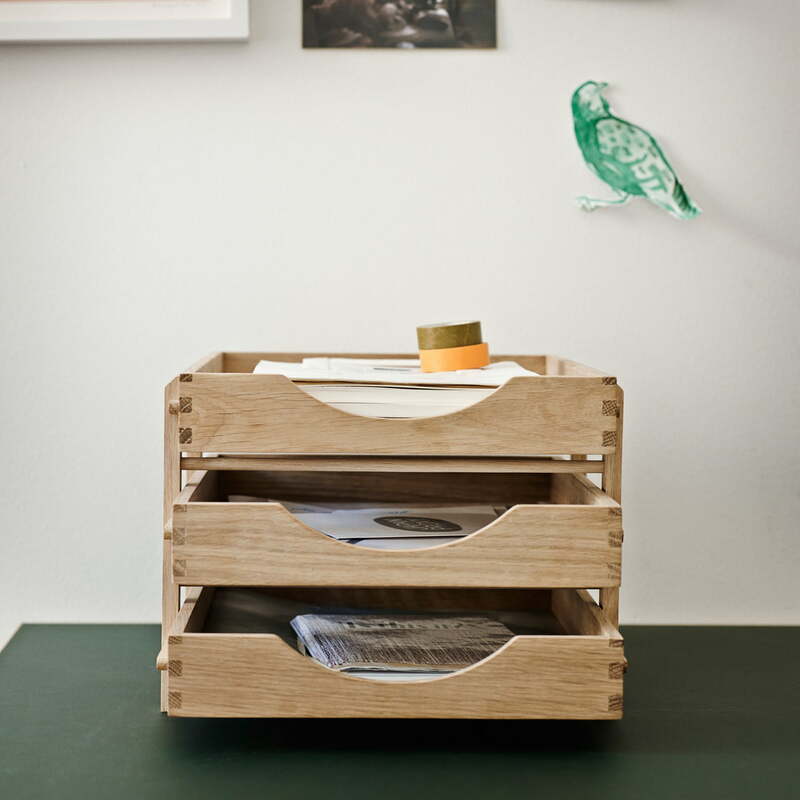 The single drawers are extractable, in order to reach the documents in the trays a bit easier. 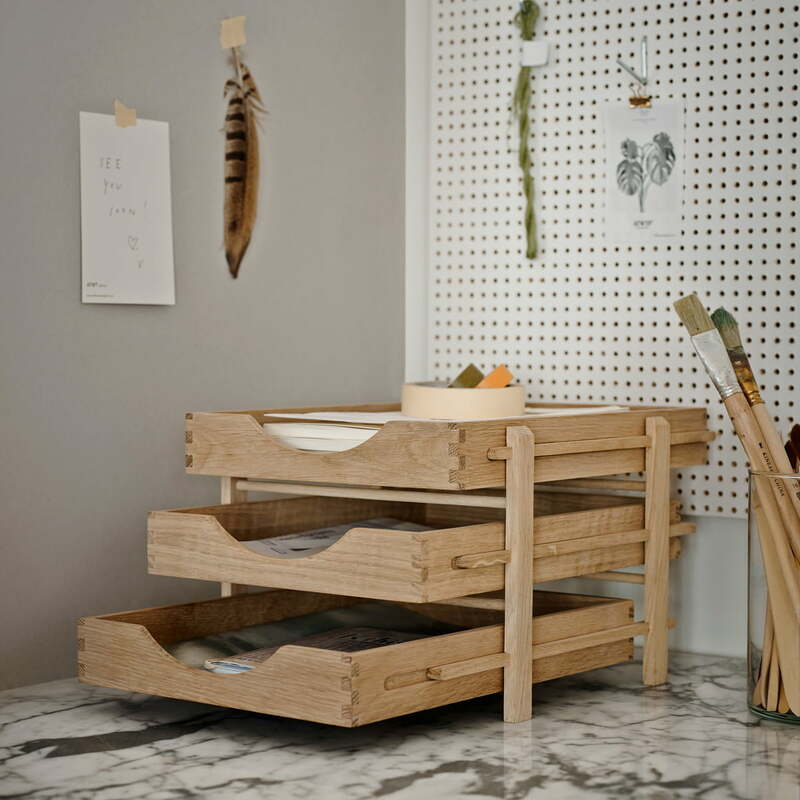 These classic, but central qualities make the Letter Tray different to other organizers made of wood.